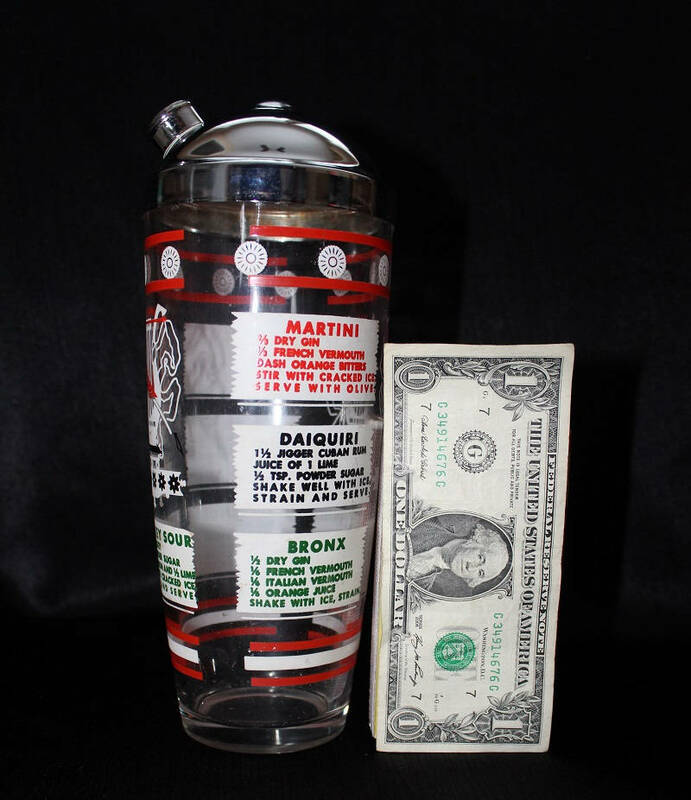 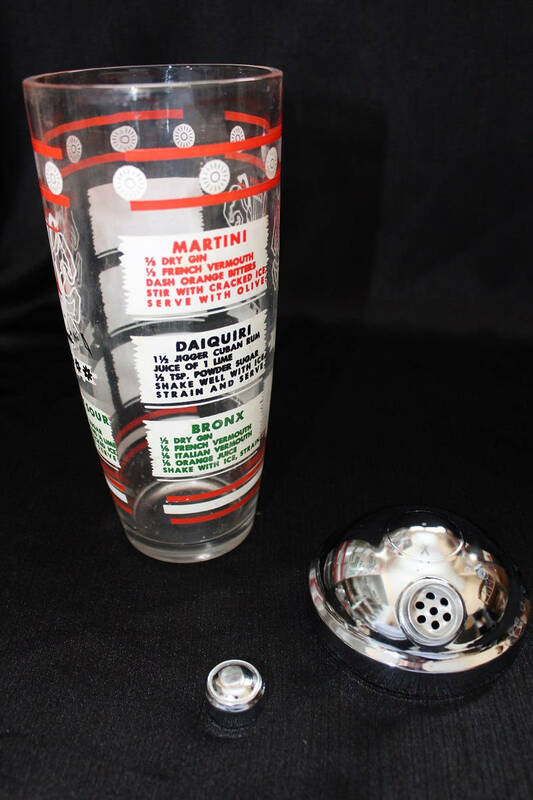 This mid-century glass hand cocktail shaker was made during the late 1940s- 1950s, It consists of a glass cocktail shaker glass with a chrome lid. 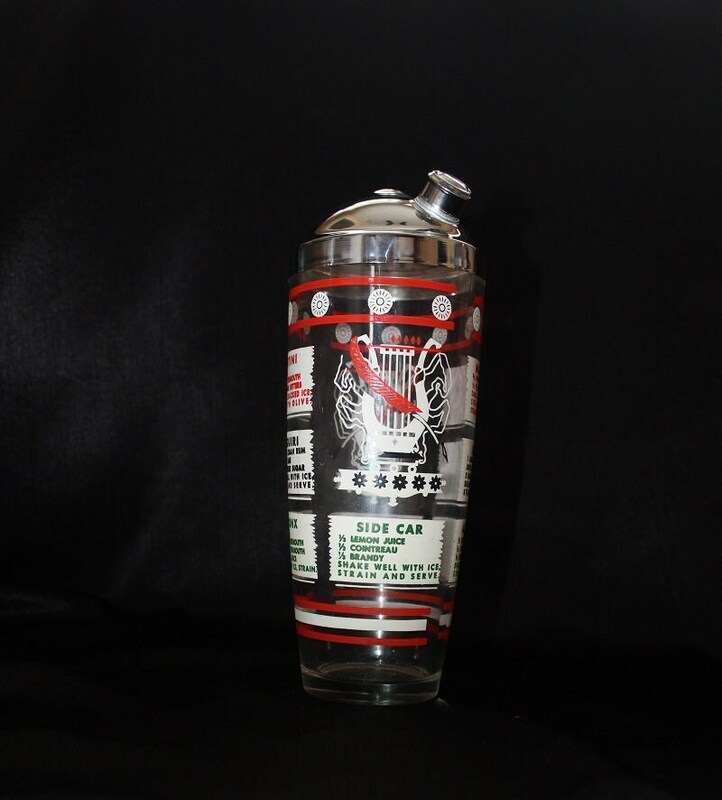 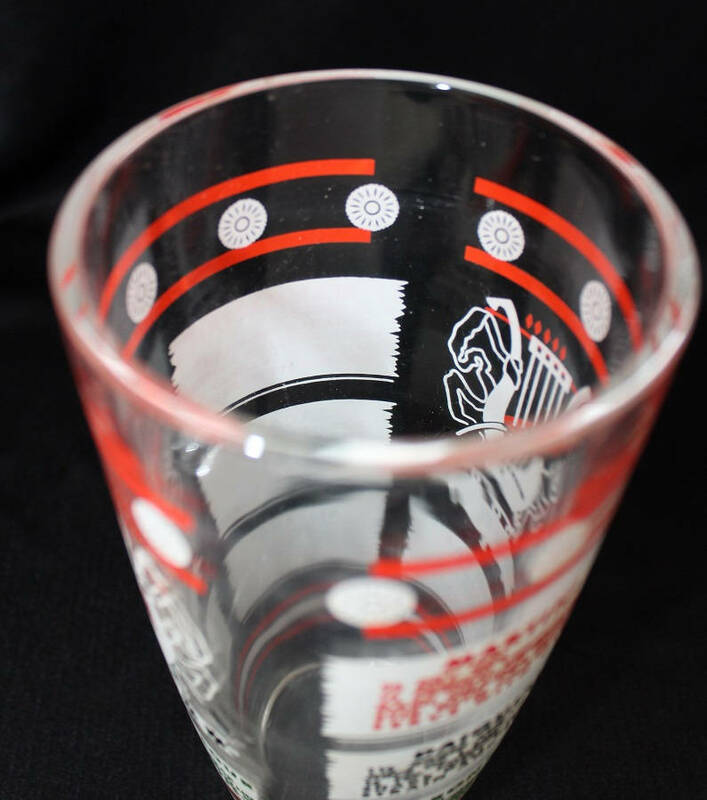 This mixing glass is detailed in black, red, green and white graphics. 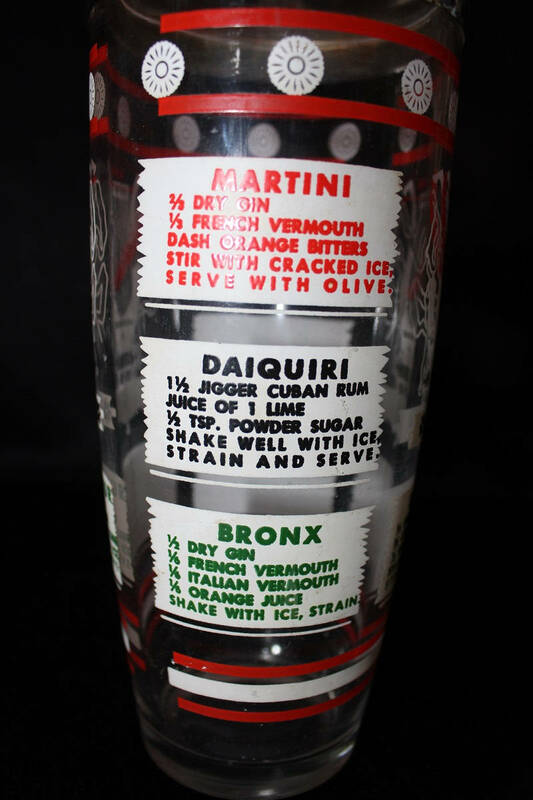 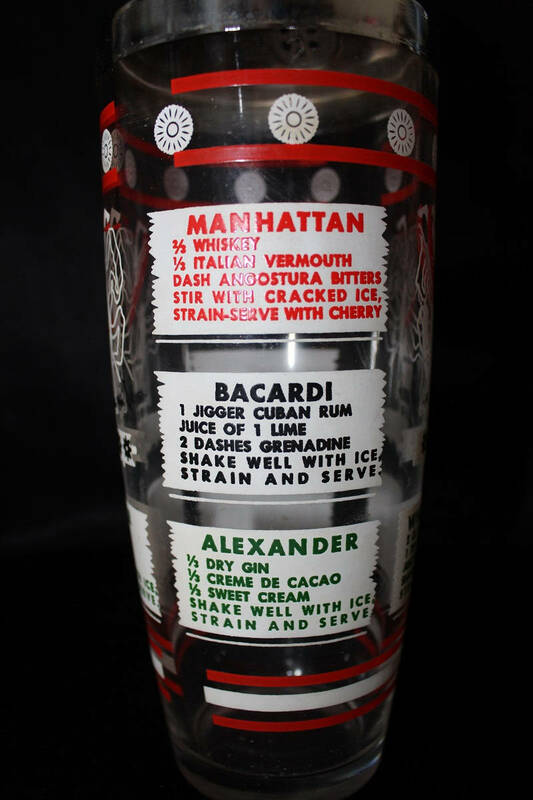 Illustrated in green, red and black fonts are mixed cocktails for the following recipes: Manhattan, Bacardi, Alexander, Whiskey Sour, Martini, Daiquiri, Bronx, and Side Car. 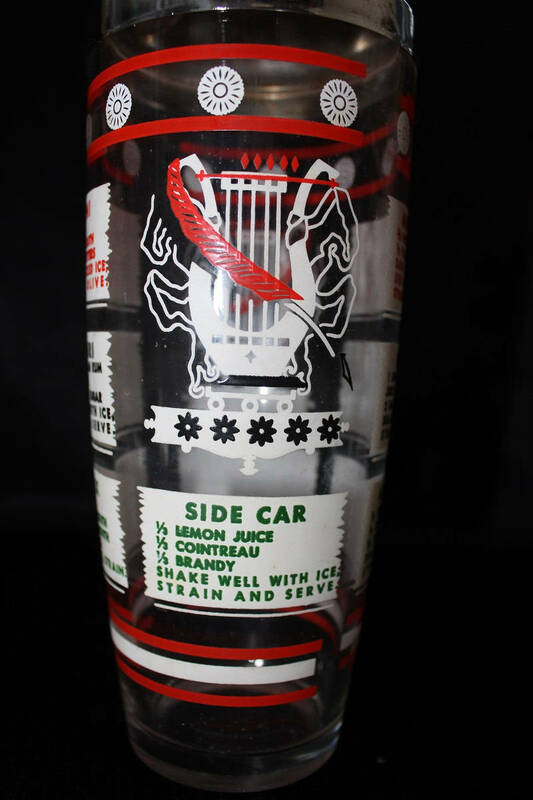 These recipes appear against a white rectangular "card" which circle around the glass. 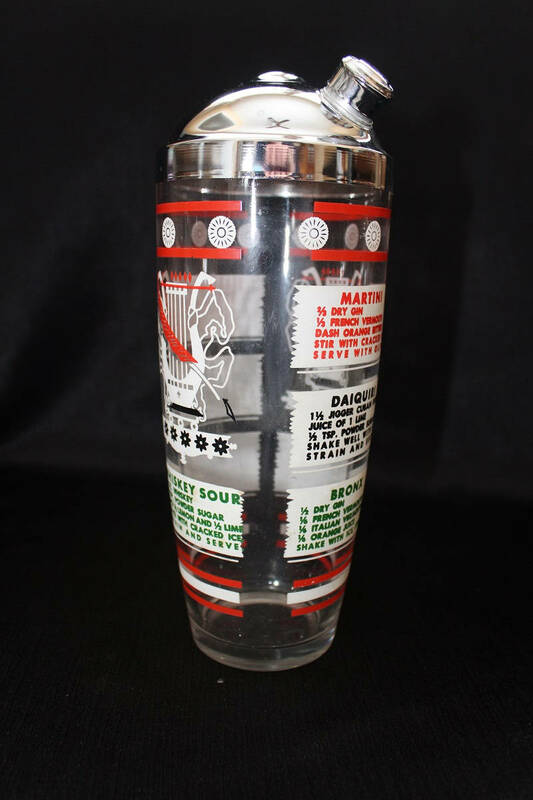 Circling at the top and bottom of the shaker is a red and white lined design. 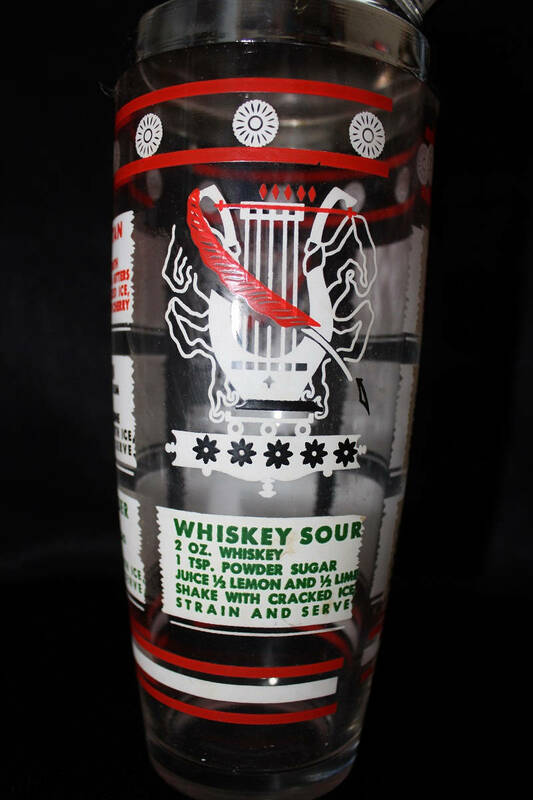 A red and white goddess's harp design on two sides. 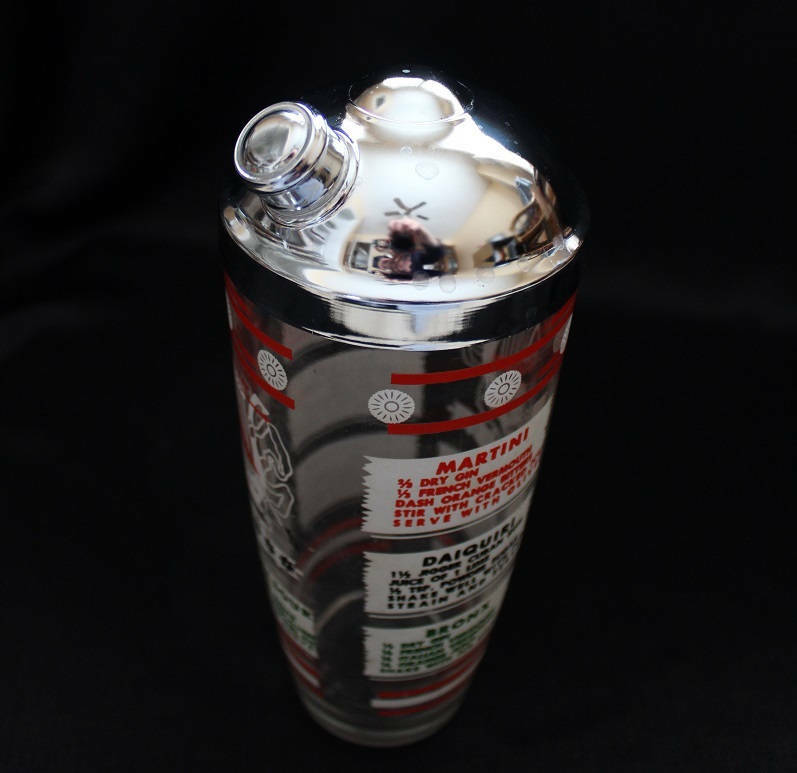 The mixing glass is topped with a chrome dome lid which features a built in strainer and fits tight on the glass.